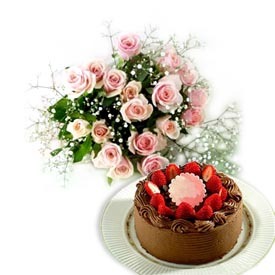 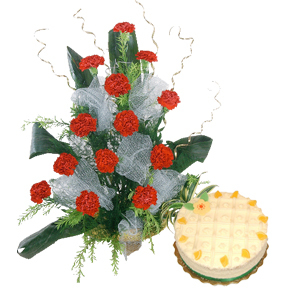 6 orchids in a glass vase and 1/2 kg black forest cake are all that this Gift Hamper has. 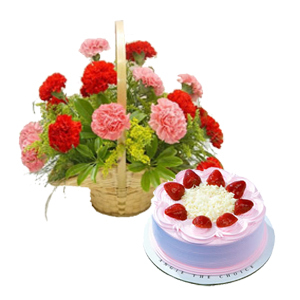 But these gifts are more than enough to express your immense love for your loved ones. 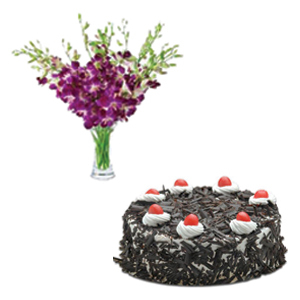 Send this combo to 500+ cities in India at the middle of the night. 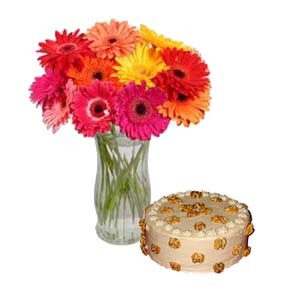 Make them feel special in your love by pairing it with your Online Gifts to India.